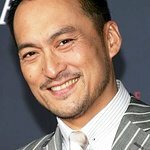 Unite for Japan was created by actor Ken Watanabe in response to the devastating Japanese earthquake in March 2011. It aims to raise awareness of the struggle survivors face and encourage donations towards the relief efforts. He also encourages people to send uplifting messages through celebrity videos. Google trends for "Unite for Japan"